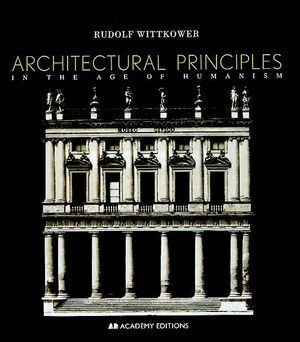 Rudolf Wittkower was born in Berlin in 1901. Leaving Germany when the Nazis came to power, he was one of the animators of the Warburg Institute of London. In 1941 he organized, with Fritz Saxl, the exhibition British Art and the Mediterranean, the publication of which (1948) forms an important document of the aims and methods of the Warburg Institute. A great scholar of Italian Renaissance and Baroque art, Wittkower taught at both the University of London and Columbia University. His books, all important works of scholarship, include Die Zeichnungen des Gian Lorenzo Bernini (with H. Bruer, 1931), The Drawings of the Carracci at Windsor Castle (1952), Gian Lorenzo Bernini, the Sculptor of Roman Baroque (1955), Art and Architecture in Italy, 1600-1750 (1958), Born under Saturn (with Margot Wittkower, 1963), and Divine Michelangelo: The Florentine Academy's Homage on His Death in 1564 (with Margot Wittkower, 1964). In addition, he was a frequent contributor to the Journal of the Warbung and Courtauld Institute, the Art Bulletin, Burlington Magazine and the Journal of the Society of Architectural Historians, among others. THE CENTRALLY PLANNED CHURCH AND THE RENAISSANCE. Alberti's Programme of the Ideal Church. Centralized Churches in Later Architectural Theory. Building Practice: S Maria delle Carceri. The Religious Symbolism of Centrally Planned Churches. ALBERTI'S APPROACH TO ANTIQUITY IN ARCHITECTURE. The Column in Alberti's Theory and Practice. S. Sebastiano and S. Andrea at Mantua. The Change in Alberti's Interpretation of Classical Architecture. The Architect as 'uomo universale': Palladio, Trissino and Barbaro. Palladio and Classical Architecture: Palaces and Public Buildings. The Genesis of an Idea: Palladio's Church Façades. Palladio's Optical and Psychological Concepts: II Redentore. THE PROBLEM OF HARMONIC PROPORTION IN ARCHITECTURE. Francesco Giorgi's Platonic Programme for S. Francesco della Vigna. The Mean Proportionals and Architecture. Musical Consonances and the Visual Arts. Palladio's 'fugal' System of Proportion. Palladio's Ratios and the Development of Sixteenth-Century Musical Theory. The Break-away from the Laws of Harmonic Porportion Architecture.